Did he jump? Was it an accident? 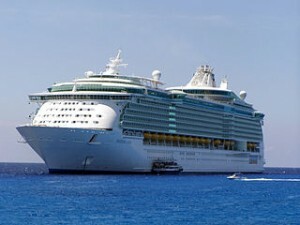 The FBI is investigating how a 26-year-old man ended up overboard as a cruise ship sailed to Puerto Rico, UPI reports. According to a Coast Guard statement, Tien Phuoc Nguyen intentionally jumped off the Royal Caribbean ship Adventure of the Seas on Saturday. Nguyen was on the boat with family. The ship turned around but Nguyen wasn’t found. Posted: 12/31/13 at 9:25 AM under News Story.